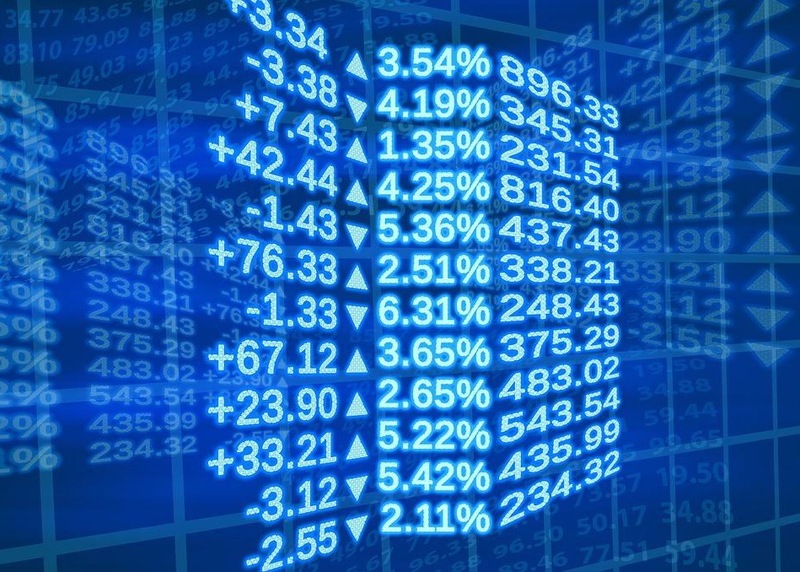 With the 8-year anniversary of the collapse of Lehman Brothers coming up, it’s a good time to take a sober look at the realities of investing. What does it tell us when such a respected financial institution for over a century and a half shuts its doors? 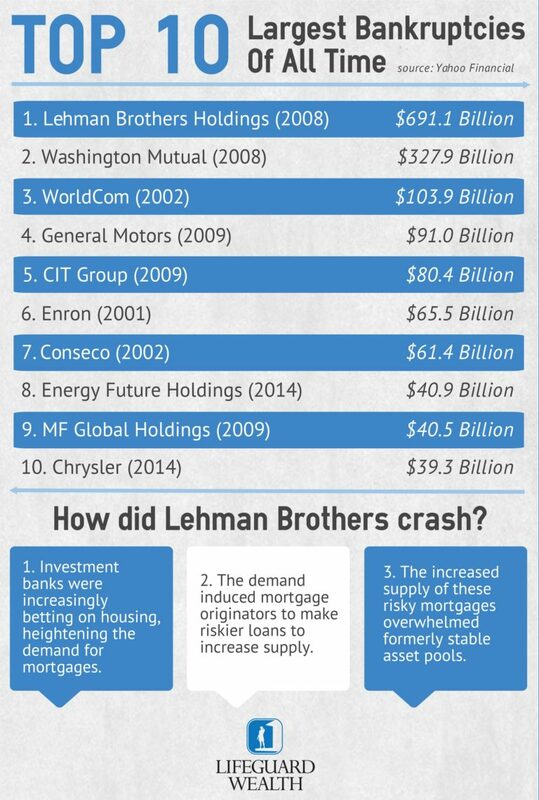 In the book The Big Short, Michael Lewis offers an accessible education on what investment banks like Lehman were doing to drive the housing bubble toward bursting, which would contribute to the greatest worldwide financial crisis since the Great Depression. 1. Investment banks were increasingly betting on housing, heightening the demand for mortgages. Subprime mortgages – those written for borrowers with FICO scores below 650 – of increasing risk of default were being packaged up into mortgage-backed bonds.Bond brokers would buy up thousands of these mortgages to go into each bond. 2. The demand induced mortgage originators to make riskier loans to increase supply. Moody’s and Standard & Poor’s were giving these bonds higher ratings than we know they were worth in hindsight. There was little understanding or acknowledgment that the loans inside them were increasingly not only subprime, but ARMs (adjustable rate mortgages)whose “introductory rate” would expire after two years, triggering widespread defaults. 3. The increased supply of these risky mortgages overwhelmed formerly stable asset pools. These subprime mortgage-backed bonds were increasingly packaged into CDOs(collateralized debt obligations), which used to be backed by a variety of debt obligations such as credit card payments and other types of loans. Now they were contaminated with housing debt on the brink of default, exposing CDO investors to risk they probably weren’t aware of. These products were so complex, and their contents so shrouded in fine print, many brokers didn’t even know what they were selling. This was the narrow-minded strategy that led to Lehman Brothers’ downfall. The percentage of revenues Lehman generated from housing increased dramatically in the years leading up to 2007 when those loans started to go bad. By the third quarter of 2008, both investors and creditors had lost confidence in Lehman Brothers’ ability to contain their losses. On September 15th the 158-year-old company filed for Chapter 11 bankruptcy with nearly $640 billion in assets. It was the largest filing in U. S. history. Greed, that human capacity for losing sight of values in pursuit of short-term gain, and ignorance, our knack for missing the forest for the trees, will always lead to errors in judgment in our financial system that will trigger the need for correction. What is propped up as valuable over time reveals itself to be worth far less and those who depended on fiction will suffer the consequences of facts. The question is not if there will be another recession; the question is, what is your plan of action for whenthe market recognizes its errors and pulls back? Even big banks like Lehman Brothers can fall into the gambler’s delusion that because something has always worked one way (like the historical growth of the housing market), it will continue. When your investment decisions are value-driven over the long term, and when your eyes are open to the risks you’re taking, you’re acting more prudently than one of the most respected financial institutions of the last two centuries. Those who lose everything in a storm are those who assume it would never come. Those who weather the storm acknowledge the risk before it hits, have a plan and stick to it when the storm arrives. Do you have a written investment plan? If not, contact Lifeguard Wealth to put your plan in writing today.